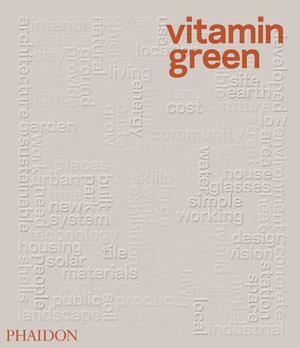 Vitamin Green provides an up-to-the-minute look at the single most important topic in contemporary design: sustainability. This new attention to the life of the things we make is changing the way design is practiced on every level and will be at the center of discussions about architecture, landscape architecture, and product design in the twenty-first century. Projects nominated by an international collection of designers, curators, critics and thinkers were selected to create the best possible sourcebook of the most exciting and original green designs at all scales, from eyeglasses to landscapes and from motorcycles to skyscrapers. The result is an inspirational survey of the enormous amount of innovative work being done in this field, as well as a directory of products, ideas and techniques for both designers and consumers.